Hypno in game: 521 Who? Important notice! Pokemon Hypno is a fictional character of humans. 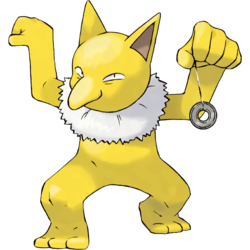 Hypno is a bipedal, humanoid Pokémon that has yellow skin. It has two triangular, ears on the top of its head and two sleepy looking eyes with a large nose underneath. On its neck, it has a ruff of white fur, which is longer on the female. 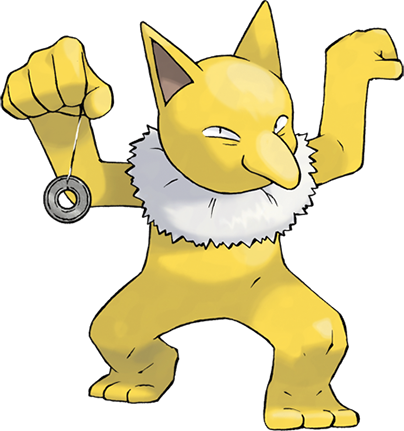 Hypno has five fingers on each hand and holds a pendulum in its left. The pendulum is used for hypnotism, and Hypno is never seen without it. There are three toes on each of its feet, which have a pink pad on the undersides. Hypno is able to put people to sleep. It can then sense the dreams the victim is having, so it knows what kind of dream it would be eating. It is known to reside away from humans and on less traveled roads. If anyone comes by, Hypno will hypnotize them and eat their dreams. While it awaits its prey, it polishes its pendulum. Hypno first appeared in Hypno's Naptime. The Pokémon Lover's Club of HopHopHop Town were using Hypno and Drowzee to help them with their sleeping problems. The "Sleep Waves" from Hypno were causing children to act like Pokémon and draining the energy from the Pokémon in the local Pokémon Center. Drowzee managed to fix this problem. Harrison used a Hypno against Ash during the Silver Conference in Playing with Fire. Hypno also appeared in Fear Factor Phony. It lives in an abandoned mining colony with several other Pokémon of its type. 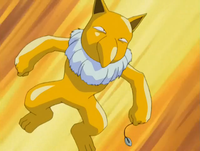 Hypno also appeared in The Power of One. A Hypno was one of the Pokémon living in Len Town in The Psychic Sidekicks!. A Hypno appeared in Beauty and the Breeder where it participated in a Pokémon breeding competition. A Hypno belonging to a Trainer named Mickey appeared at the Pokémon Jujitsu Academy in Ariados, Amigos where it was defeated by Ralph's Houndour. A Coordinator's Hypno appeared in Spontaneous Combusken! participating in the Chrysanthemum Island Pokémon Contest. 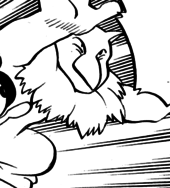 Hypno's debut appearance in The Coming of Slowpoke (Eventually) as one of the Pokémon of Al of the Team Rocket trio that attempted to recapture S.S. Anne. A Hypno was one of the Pokémon sent to help the fight in Ilex Forest in The Last Battle XIII. Hypno's Red and Blue and LeafGreen Pokédex entries make reference to it using "PSI moves", possibly indicating an early name for the Psychic type in English. 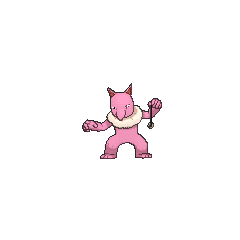 Hypno is based on a tapir, hypnotist, and baku, or dream eater spirit, of Japanese mythology. It also looks similar to a proboscis monkey. Hypno's long, hooked nose and white frill could also be based on a vulture, such as Rüppell's Vulture.